1997: In early March 1997, Dr Francis Thackeray, (Department of Palaeontology, Transvaal Museum, Pretoria) posted a message via the Internet newsgroup to announce the celebration in April of the 50th anniversary of the discovery of “Mrs Ples”, a fossil skull said to be 2.5 million years old. “Mrs Ples” was discovered in April 1947 by Robert Broom and John Robinson at the Sterkfontein Caves, near Pretoria. Thackeray writes in his message that “ Mrs. Ples” is believed by many to represent a species (Australopithecus africanus) from which all humankind evolved. Part of the celebrations marking this discovery will include the Robert Broom Memorial lecture, “Is evolution progressive?”, delivered by world-renown Oxford professor and author Richard Dawkins, at the Sinodale Sentrum in Pretoria (April 1). What does Robinson actually believe? It’s anyone’s guess. 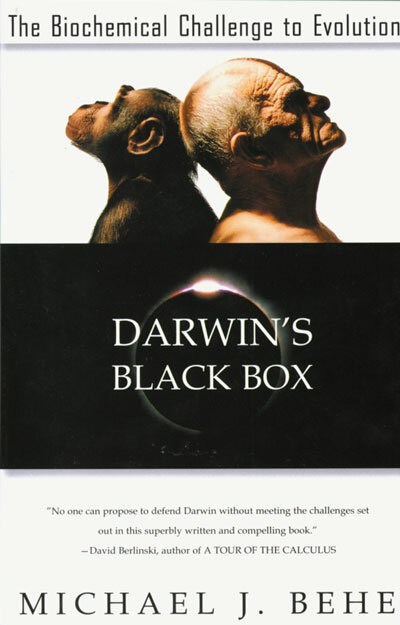 Behe’s book, Darwin’s Black Box: The Biochemical Challenge to Evolution, already in its eigth printing since its release last August, is the first anti-Darwinian book to be published by a major New York house in several decades (The Free Press, a division of Simon & Shuster). Behe argues that biochemical systems, such as those involved in vision, the immune system, and blood clotting are so complex that “you can see they were designed by an intelligent agent and did not evolve according to Darwinian theory.” (“Heretics in the Laboratory”, Newsweek, Sept. 16, p.82). Behe refers to these biochemical systems as having “irreducible complexity”—a term that is certain to become part of the modern scientific lexicon. Darwinists have been claiming that they solved the complexity problem long ago, not that they hope to solve it some time in the future. Now what do they do? Darwinists say, “We continually revise our theories and welcome critical examination and evaluation.” They may revise aspects of their theories, but because evolution is so incredibly malleable, no amount of contrary evidence will convince them otherwise. But how much contrary evidence must accumulate before a theory is discarded? Today evolution survives, not so much as a theory of science, but as a philosophical necessity. Good science is always tentative and self-correcting, but this never really happens in the case of evolution. Regardless of the scientific data, the idea of evolution as a valid concept is not open to debate. Students are allowed to ask “HOW did evolution occur?”, but never “DID evolution occur?”. With Leakey’s words still ringing in my ears, The New York Times reported three days later that scientists had re-examined two major fossil sites in Java, and found that Homo erectus may have lived there as recently as “27,000 years ago”. (December 13, P.A1) This dating analysis, conducted by McMaster University geologists Henry Schwarcz and Jack Rink, will serve to cast further doubt on the so-called evidence for human evolution. Why? If it can be shown that Homo erectus lived at the same time as modern man, Homo erectus may be no more than racial variants of Homo sapiens. Although Darwinists would contend there is nothing in evolutionary theory that requires extinction of a parent species upon or soon after the emergence of a daughter species, this dating analysis places Homo erectus in the era of modern humans. and argues against an ancestral relationship. 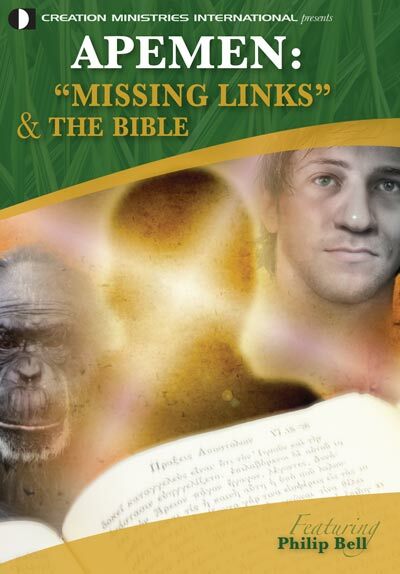 Marvin Lubenow has an M.S.in anthropology and zoology from Eastern Michigan University, and is the author of “Bones of Contention: A Creationist Assessment of Human Fossils”, Baker Book House, 1993. According to Lubenow, from the neck down, the differences between Homo erectus and modern humans are minor. (Erectus skeletons are usually smaller than moderns, but not always.) And while Homo erectus tended to have thicker skulls and smaller brains, we now know the human brain’s organization is such that small size does not affect intelligence (eg. some Australian aborigines). In fact, the actual range in humans is said to be a remarkable 700 to 2200 cubic centimetres. Lubenow states that other characteristics of Homo erectus skulls can be accounted for by poor diet and disease (especially rickets), inbreeding, and harsh living conditions, and that most, if not all, of these skull-shape characteristics can still be found within the current human population. Milford Wolpoff (University of Michigan), commenting on the alleged evolution of an earlier australopithecine into Homo erectus, states: “Disproof could be accomplished . . . by showing that Homo erectus could be found earlier than the first appearance of the proposed ancestral species. . . .” Wolpoff is absolutely right. That is the way paleoanthropology should work. Currently, a lively debate between University of California (Berkeley) law professor Phillip Johnson (Darwin on Trial) and Kenneth Miller of Brown University, author of a leading biology textbook, is found on NOVA Online at http://www.pbs.org/wgbh/pages/nova/odyssey/debate/. Debates have an important role to play in discussions of origins, for if science is not permitted to testify against the evolutionary paradigm, then perhaps evolutionary speculation should be restricted to classes in philosophy. In the not-so-distant future, when someone of the stature of a Stephen Jay Gould or the late Carl Sagan holds a press conference to announce he has finally reached the conclusion that evolution is scientifically bankrupt, other scientists will quickly follow suit. It’ll resemble rats deserting a sinking ship. Anthroplogist John Robinson may not have held a press conference, but I think I’m beginning to hear the sounds of tiny feet scampering over the decks. Can you? David Buckna is a public schoolteacher and co-author of the article, “Should evolution be immune from critical analysis in the science classroom?” which appears in the December issue of Acts & Facts, published by the Institute for Creation Research in El Cajon, California.